City Council Speaker Corey Johnson wants DOT to provide better protection for pedestrians and cyclists in its redesign of 10th Avenue. DOT’s plan for 10th Avenue and Amsterdam Avenue calls for a protected bike lane between 52nd and 72nd streets. At most intersections where turning car traffic crosses the path of cyclists, however, the design calls for “mixing zones” that have proven to be more hazardous than other intersection designs in DOT’s toolkit. And instead of pouring concrete for the pedestrian islands, DOT is planning to paint and plastic posts. Raised concrete pedestrian refuge areas on the north side of W. 52nd Street, W. 53rd Street, W. 55th Street, W. 57th Street, W. 59th Street, and pedestrian refuge areas on both the north and south side of school/hospital crossings at W 58th and W 59th Streets to ensure that pedestrians are fully protected from speeding trucks and cars. Split-phase turn signals at all left turn intersections instead of “mixing zones” to protect pedestrians and cyclists from turning vehicles. Signal timing adjustments to conform to the 25 mph legal speed limit during the day and night. In addition to the letter, Johnson could support more robust street redesigns by making a stronger push to increase DOT’s budget for them. The agency has said it lacks the resources to install concrete pedestrian islands in the 10th Avenue/Amsterdam Avenue project. But in recent years, Trottenberg and Mayor de Blasio haven’t taken up the City Council’s proposals to increase DOT’s budget to implement street redesigns. While the city has increased its street construction budget, those changes largely bypass DOT and its bike lane program, which clearly needs more to work with if it’s going to deliver better street designs. Has there not been citywide signal timing adjustments at all intersections to conform to the 25 mph speed limit? I assumed there was signal adjustment to the reduced citywide speed limit (from 30 to 25mph) when the lower speed limit went into effect 11/2014. It is alarming that the City Council speaker is calling for that signal timing adjustment now for a limited area. This adjustment should have taken place citywide 2.5 years ago! It’s refreshing to see a politician calling for more robust street safety measures instead of focusing predominantly on the desires of motorists. 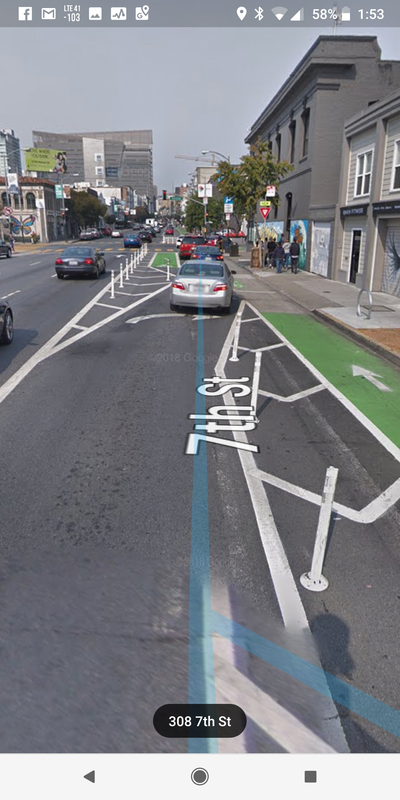 Mixing zones, while dangerous in terms of merging and visibility, are also more frequently used for illegal curbside parking and bike lane blocking. 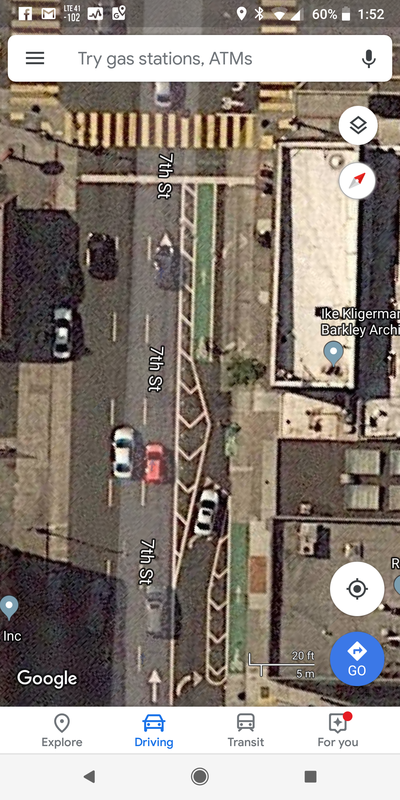 The newer design for left turns with flexible delineators and painted tan areas, works far better in terms of discouraging illegal parking that blocks the bike lane. They are a tremendous PITA! They make the portion of the traffic light cycle where a bike can proceed too short, and cyclists simply can’t make efficient progress with so much red time in their travel direction. And much of the time there *won’t* be any traffic waiting to make a left turn, so cyclists will proceed instead. The whole setup sorta becomes a defacto mixing zone instead. This isn’t great. It tends to ingrain “I’ll just go!” as a bad habit, and makes for an easy behavior to target during ticket blitzes. Or let’s have a green wave to favor bicycles!